How Much Compensation For A Finger Amputation Following An Accident? Losing a finger is something we rarely think about, but the effects of losing just one small digit can have far reaching effects on what we can do, especially if it is our dominant hand that is affected. 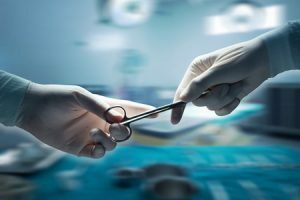 If you have been injured in an accident that was not your fault and suffered a finger amputation, whether through the accident itself or because the finger was so badly damaged it was medically necessary to amputate, you may be able to make a claim for compensation. What can be claimed for after an accident causing a finger amputation? How much compensation will I get after an accident causing a finger amputation? Why choose us as your claims service for a finger injury claim? Finger amputation can be devastating. For those who have previously had a full range of movement and all digits, it can be hard to get used to this loss of part of your body. Losing any part of your body in an accident can have long-lasting effects on how you go about your day to day activities, as well as on your psyche. If you have suffered a finger amputation following an accident that is not your fault, you will no doubt be struggling to get to grips with this. Aside from the pain the injury has caused you, you may also be struggling financially due to loss of income from time you have had to take off work due to your injuries. If this is the case, then you may well be interested in reading this guide, which takes you through all the information you need to know about finger amputation compensation, how it is calculated and how much you could potentially receive by making a No Win No Fee compensation claim through our service. Simply put, a finger amputation involves the severing of a finger or thumb. This usually happens as a result of trauma to the area, often in a car accident or an accident at work, often involving machinery. Depending on the trauma to the area, the finger or thumb may be instantly severed, or there may be an infection that requires medical amputation if the thumb or finger can will not heal or can not be saved. Amputations of any part of the body can have a severe impact on your ability to carry out your usual day to day tasks, and a finger or thumb amputation is no different. You may no longer be able to carry out your usual job, and may have to look for something that does not require the same level of dexterity. In severe cases, you may be unable to work at all whether for a specific period of time, or at all in the future. It is not only the physical symptoms of an amputation that can have an effect on a person. The psychological impact of an amputation is well documented, with many patients suffering mental health problems as a result of the trauma they have experienced as well as the physical pain and loss of dexterity. These psychological effects can warrant further medical intervention and more time away from the workplace, leading to a loss in salary. Amputation of a finger or thumb can, therefore, severely affect your finances, both immediately after the injury and well into the future. However, there is something you can to in an attempt to redress the balance. You can, if an accident causing amputation is not your fault, make a claim for compensation for your injuries and the financial loss you’ve suffered as a result. Note down the events that led to the accident – Often, as time goes on after an accident, memories tend to fade a little, and what has seemed crystal clear initially may become a little blurred later on. It is therefore important to note down the events that led to your finger amputation should your memory fail you if you come to recount them later on. Take photographs where possible – Photographic evidence can become pivotal in some cases, although it is not always necessary. The best thing would be to record in photographs your injury, and the scene of the accident. Keep receipts of any costs you’ve incurred – If you have had to pay out of pocket for medical bills, prescription costs, or even travel to get to medical appointments, it is good to keep documentary proof of this. Witness details – Speak to anyone who has witnessed the accident and ask them for their details, including their phone number, full name and address. They may be able to provide a statement that will help to confirm the events that occurred. Driver details – If your finger has been amputated as a result of a road accident, then you need to get the details of the driver, including their car make, model and registration. If the vehicle involved was a commercial one, then the company details may prove useful too. If you require any more clarification on steps you should take after an accident involving a finger amputation, then we will be happy to assist you. Simply call our team and we will take you through the necessary details. One of our friendly, sympathetic yet professional staff will take you through a no-obligation consultation, taking down all the details of the accident, and asking questions to find out all the facts we need to know. We will also, at this point, give you the opportunity to ask any questions you might have, such as how much is a finger worth in compensation, or how long is the fingertip amputation healing process likely to take. You will not have to pay for this consultation at this point, as we work on a No Win No Fee basis, which we will explain fully to you before you sign our agreement. Once the agreement is signed, it is likely that we will send you for a local medical, where a medical professional will fully assess your injuries, whether it is cut finger compensation or finger amputation compensation you’re looking for and determine your prognosis, taking down any other relevant medical information so that we have a full picture of this side of things. We will match you with one of our professional, highly-experienced in house solicitors, depending on which one we feel has the most experience of dealing with cases similar to yours. Whilst no two cases are exactly alike, a solicitor with experience in the same type of cases will be best placed to secure you the maximum amount of compensation for your injuries. If, during any part of this process you have any questions about your case, how it is progressing, or whether you need to do anything else, we will be happy to give you the answers you need. Sadly, children are also subject to amputations in some cases, especially when it comes to car accidents. If your child, or a child you are responsible for is injured in an accident due to someone else’s negligence, then it may be possible for you to make a claim on their behalf. If you choose not to make a claim at this time, the law currently states that a child may pursue a claim up to three years after they turn 18. Therefore, a child currently has until their twenty first birthday to submit a claim should you not wish to do so right now. Whether that law will be subject to chance is not for us to speculate on. Whether you have trapped your hand or finger in machinery that was not properly maintained, or did not have the correct protective equipment, or whether you have slipped and fallen on loose wiring at work, leading to your finger amputation, this will likely lead to some loss of income, or perhaps mean you having to leave your current role, making you financially worse off. If you have lost a finger or your thumb as a result of an accident at work, then you may not be aware that, should your employer be found to be negligent in their duty of care to you, you could make a claim for compensation against them. It is even possible to claim lost tip of finger compensation. Most businesses have insurance that covers the compensation, so you do not have to worry about negatively affecting your employers finances. You are also protected from being treated differently because of your claim. Your employer cannot discriminate against you or treat you differently than they did before your accident by law. If you need more clarification about your rights at work to seek compensation from an employer for a finger injury at work, we will be happy to talk you through this. Claiming against your employer need not be a traumatic and scary experience. After all, your employer will likely learn from your action and take steps to ensure that this does not happen to someone else in your workplace. It may seem strange, but finger amputation and fingertip injury are not uncommon in road accidents. Any collision runs the risk of trauma to parts of the body, and, as extremities, the fingers are at risk of harm during an accident. Whether someone has trapped your finger in the car door, or a collision has caused the amputation of your finger, if it is not your fault, then you may have cause to make a claim. Finger amputations caused by slips trips or falls often happen when a person has fallen on something sharp. Whether this is the case, or the reason your slip, trip or fall has caused your amputation or cut off end of finger injury is more complex, we will be able to assess your case and offer you advice on what to do next. Our advice comes with years of experience behind it, and you are not obligated to act upon it should you feel you are not ready to do so. Alternatively, if you are ready to start a claim, we will be happy to take you through the steps necessary to begin your claim. Remember, we work on a No Win No Fee basis, so you will not be required to pay anything upfront to start your claim. Care Claims – If, which is likely, you have required assistance with day to day tasks during the recovery process, the person who has provided this assistance can submit a claim for care costs. Travel/Medical Expenses – Whatever costs you have incurred in terms of travel to appointments after your accident, prescription costs or counselling bills, you may be able to claim back as part of your compensation case. Loss of Earnings – You are likely to have had to take time off work because of your accident and injuries, and it may be that you are unable to return. A loss of earnings award is calculated based on your current salary, prospects for a return to work and your future earning potential. General damages – Finally, yet perhaps most importantly, this part of the claim is meant to compensate you for your injuries themselves and the suffering and pain they have caused you. Some of these may not apply to your claim, but they will in most cases. If you are not sure whether certain costs can be recovered as part of your claim, we will be happy to clarify this for you if you want to give us a call. The most common types of finger amputation accidents happen when people are injured at work as a result of machinery issues. Road accidents can also often cause trauma to extremities, leading to road users and passengers losing a finger. Slips, trips and falls also carry a risk of finger injury, but there are other cases that may also lead to this type of injury, including violent crime. Whatever incident has caused your amputation, if someone else is at fault, there is a good chance you will be able to make amputated finger claims. Simply call us to talk through your options, and we will offer simply, free, effective advice on what to do next. Whilst compensation claims for amputated fingers can seem fairly straightforward, in reality, they can differ wildly in terms of how much hand injury compensation amounts you are likely to receive. Whether you have a lost a finger on your dominant hand, or are looking for partial finger amputation compensation, whether you are able to continue with the same job you did before the injury, how much of an effect the injury has had on your mental state – these are all factors that affect the amount of compensation that is likely to be awarded to you. What we can do, however, is provide a rough guide on how much is likely to be awarded for specific injuries relating to your amputation, both mental and physical, whether you are still embroiled in the finger amputation recovery process, or whether you are already healed. Illustrated in the table below are the typical award amounts for these injuries. It is essential to remember that there is no guarantee of any specific award amount, however, as every claim is assessed on its own merits. If you require any clarification on this, or any other matter pertaining to fingertip injury classification, or your claim, we will happy to assist should you call us to ask. Total or Effective Loss of One Hand £73,100 - £83,325 If all fingers and most of the palm is subject to traumatic amputation. The higher awards are usually given where the hand involved is the dominant one. The hand will only likely result in 50% movement capacity. If several fingers are rejoined but in an unsightly fashion, or where the hand is left clawed or clumsy. Marked effect on dexterity and with severe disfigurement. Loss of the index finger. Index finger amputation recovery times can differ, and the award will take this into account. The settlement for thumb injury is likely to be somewhere between these amount. Psychological damage (Severe) £41,675 - £88,000 The prognosis for cases such as this will be very poor. Psychological damage (Moderate) £4,450 - £14,500 A visible effect on the claimant’s coping ability with day to day life due to trauma. Prognosis is typically more optimistic - some improvement by the date of trial will be noted. Psychological damage (Less severe) £1,170 - £4,450 Initial psychological damage and ability to sleep as well as improvement made since the incident will be taken into account. Loss of anticipated earnings £10,000 - £400,000 Anticipated earnings loss, for future earning, taking into account promotion/payrise opportunities. Loss of benefits £5,000 - £500,000 Actual wages lost due to injuries. Suffering and Pain £1,000 - £200,000 Compensation for the suffering and pain the claimant has endured. It is likely that you have heard this terms before, but few people know what No Win No Fee means, and assume should their claim not be successful for some reason, that they will have to pay out of pocket for legal fees. This is simply not the case. We know only too well how traumatic a finger amputation can be, and we will not seek to pursue any claims we do not feel have a good chance of success – after all, that would be putting you through a pointless exercise and wasting your time. However, should a case we felt would be successful, for some reason come to an unsatisfactory conclusion, and you are not awarded compensation, we will not seek to recover legal fees from you. No Win No Fee means we will strive to work as hard as we can to gain you the maximum amount of finger amputation compensation for you, and you will not be expected to pay legal fees should your case not be won. This means there is no risk to you from pursuing a claim as you will not have to pay a penny in legal fees should your case not result in compensation. We believe in putting our clients first, as many of our previous clients will testify. You will always be at the forefront of everything we do, and we will ensure that you are well-informed and looked after at every stage of the claims process. We don’t want you to have to be put out by making a claim, which is why we will strive to arrange a medical local to you, in order that you should not be inconvenienced more than you need be in the claims process. We will also ensure that we carefully listen to everything you tell us. Our attention to detail whilst pursuing compensation claims puts us in the position of being able to leverage every bit of information in order to prove your claim. We also are happy to have some of the best solicitors to handle your claim. These hard working, consummate processionals take their duty extremely seriously, and will do all that they can to ensure you get the compensation you deserve. Whichever finger you have had amputated, we can help you. Whether you require free, no-obligation advice on what to do after you’ve suffered a finger amputation, including what to do if the accident happened at work or on the road, how long a severed fingertip healing process is likely to take, or simply want to begin a claim, just call 0800 073 8804 and one of our highly-trained members of staff will tell you what you need to know. Even if you’re not ready to start a claim yet, and simply want more information about your eligibility, we will be happy to answer your query without obligation to use our service. You don’t have to take our advice, we simply want to make sure you are well-informed when it comes to your rights. If you do want to start a claim, however, then a simple phone call to us is all it takes to get started. Whatever the reason for your call, we promise to treat you with compassion and be transparent with the information we offer you, so there is really no need not to pick up the phone to call us. The NHS have produced a guide on amputation that covers the various types of amputation, including information on recovery, and rehabilitation after an amputation. If you have had an amputation, it may restrict you from certain activities. Here, the government provides information on how to go about reporting an amputation to the DVLA. As well as this guide, we have produced a general guide on amputation compensation. This may be of interest if you are looking for more information. If your amputation is due to an accident at work, this guide will explain in more detail how accident at work claims are processed.